NAME THAT BUG! Found in Texas this so-called “Kissing bug” has a habit of biting people and animals at night, often around the face or lips. 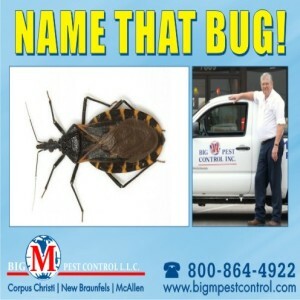 The bite can be extremely itchy and there is a small risk that these bugs could transmit a parasite disease called Chagas.